Anyone who knows me knows that I love flowers–even if I may not have the greenest thumb. And, even more, I love taking pictures of flowers. 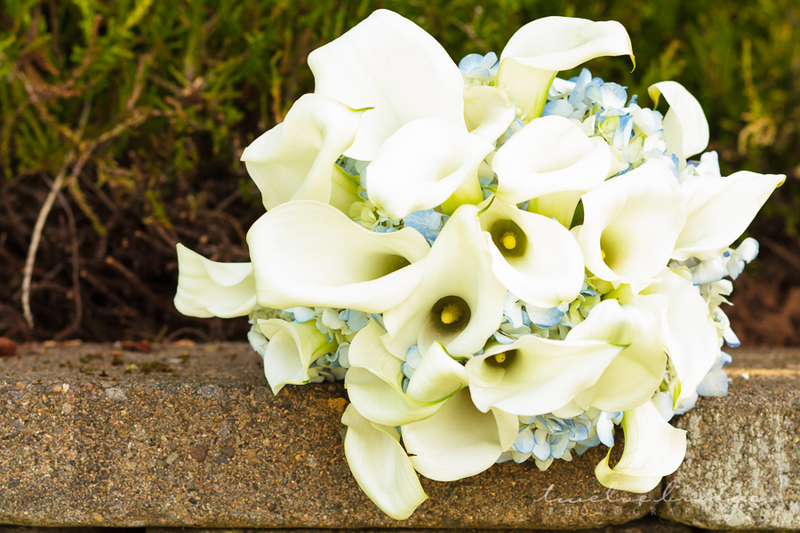 I loved this bouquet with a mix of white calla lillies and soft, blue hydrangeas. Are you looking for a Portland area wedding photographer? Check out my website!